Bring your little ones to the Grand Parc Miribel Jonage on the 21st April for a giant Easter egg hunt. This year’s Easter egg hunt marks the 19th consecutive year of the event in Lyon. Every year, families come together to join the massive hunt at the Grand Parc Miribel Jonage. There will be two easter egg trails – one for 3-5 year olds, the Petit Boa’Bab trail, and one for over 5s, the Grand Bao’Bab trail. Both centre around the same story: something terrible has happened, and your child must become the hero from an African tale to save the village and its inhabitants. 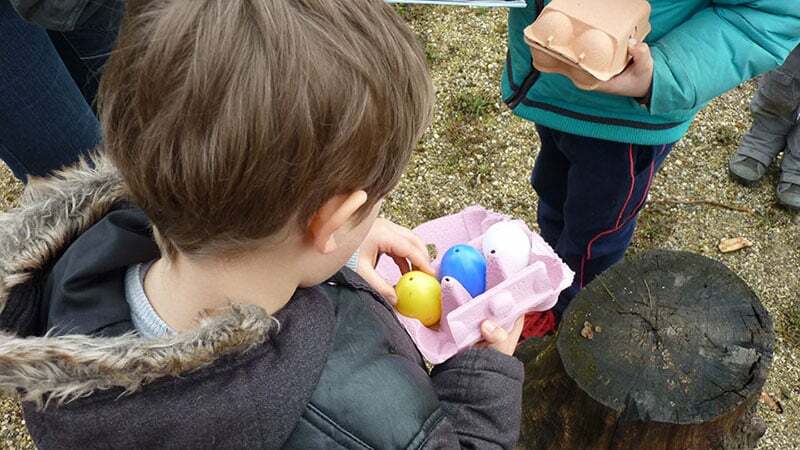 Join the Lyonnaise at this year’s Easter egg hunt in the Grand Parc Miribel Jonage. © SPL SEGAPAL – 2016. Photo taken from the event’s website. This is not your usual Easter egg hunt. Children are armed with a notepad and must crack enigmas to find their six eggs. When they’ve found all their eggs, the children can then construct their own nest, from natural elements, to hold their eggs. This will also be the children’s chance to swap in their eggs for chocolate ones from the chocolate makers Abi et Lisa. This year, there will also be a 6kg chocolate egg up for grabs. Each child will have the chance to win the whole egg. Other than the egg hunt, there will also be an activity village, which will host various activities across the day. Tickets cost 7.50€ for one child, and 6€ then on for subsequent children. You need to book your spot online - registration is compulsory due to limited places. The ticket office closes on 17th April 2019 at 11:59pm. There will be 10 staggered starts every 30 minutes between 9:30am and 11:30am, and between 1:30pm and 3:30pm.